This stunning collection comprises of designs inspired from traditional persian and old mughal rugs. Woven with lustrous sardinian wool of a coarser count, the rugs have a warm, handmade feel. This collection stands out for its use of a rich and vibrant colour pallete. - Knots: 302400 knots per sq.meter. I have this carpet in different color like cream , white , blue and red . 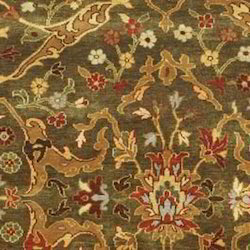 We are engaged in offering an extensive range of Cream Brown Bidjar Carpet. These high quality Cream Brown Bidjar Carpet are made from very high quality raw material due to which these carpets are widely demanded by all. 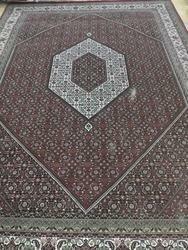 These carpets are embellished with variety of materials to give it a scintillating look.